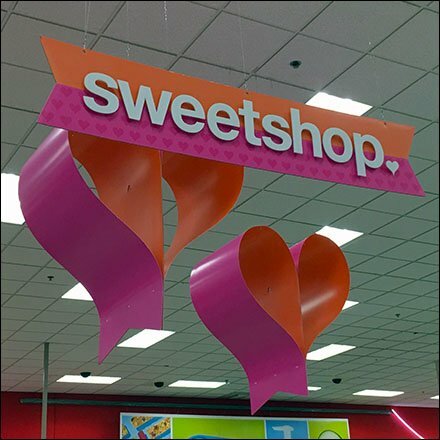 Target built and decorated an entire Sweetshop just for you and you love. And they entreat you to “Treat your sweetie.” I agree and entreat you too. Otherwise under the rules of Valentines Day, she can smack you a good one up the side of your sorry head. So take the hint. And while at Target enjoy their Sweetshop Visual Merchandising efforts as previewed in the gallery below.